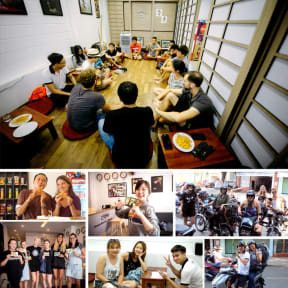 Tomodachi House Da Nang is a friendly Japanese-style hostel which embrace the meaning of friendship in the hostel’s name. Our goal is to offer leisure travelers with a comfy and relaxing homestay experience. 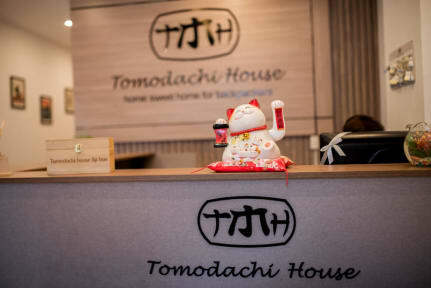 Tomodachi House wishes to become a connecting spot for backpackers and travelers from around the World to connect and embark on adventures unveiling the great city of Da Nang. Our guests have options to choose between dorm rooms featuring bunk beds which are great for socializing with other travelers, or private rooms for those who prefer more privacy. Conveniences including comfort bed, safe locks, reading lights, USB chargers, laundry machines, toiletries and air conditioners are provided to ensure guests having a comfy stay. Private rooms are equipped with flat screen TVs and small fridges for drinks. Finally, Free-Wifi is available for all guests.